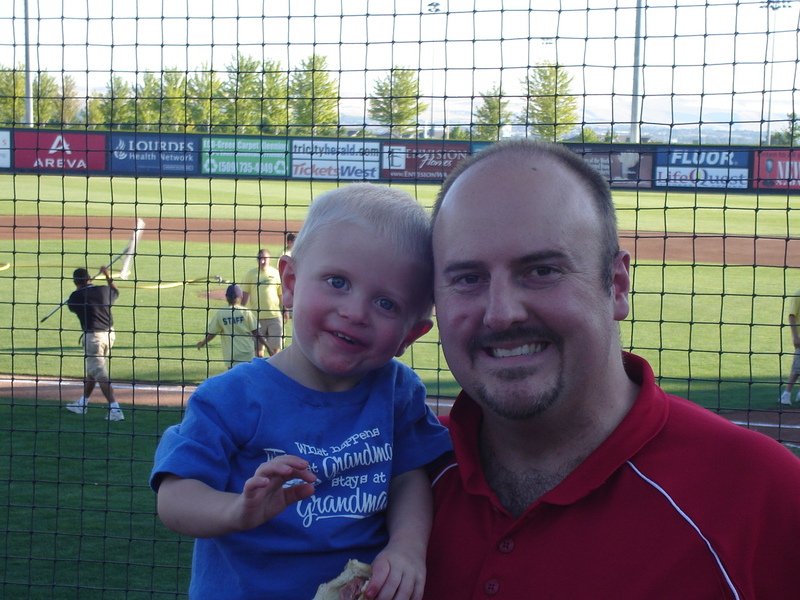 For the fifth-straight year, I am humbled by the loyal baseball fans in Boise and the diehard Chicago Cubs faithful for helping this blog, “On the Mike – the Voice of the Boise Hawks”, be one of the Top-100 MLB Pro Blogs in the nation. For 11 straight in-season months, the blog has been among the Top-25 in nation – rising up to No. 3 during July of 2013 (corresponding with Kris Bryant’s arrival in Boise) and No. 4 in June of 2014 (when Kyle Schwarber made his triumphant Hawks debut). I hope that you the fan have enjoyed the evolution of the blog – from opinions, to food reviews, to more-and-more video in 2014, including a look inside every stadium in the Northwest League. Unfortunately for you the Boise Hawks fan, and fans of the new parent club, Colorado Rockies, this might be the end. After 13 years with the Hawks, including 10 as your Voice during the summer, my contract was terminated by the franchise two days before Christmas – talk about a happy holiday season for the Safford’s. I know that it was a business decision by the franchise and that I hope sometime this spring that the phone will ring to get things ready for the 2015 season, but I know that isn’t my decision. 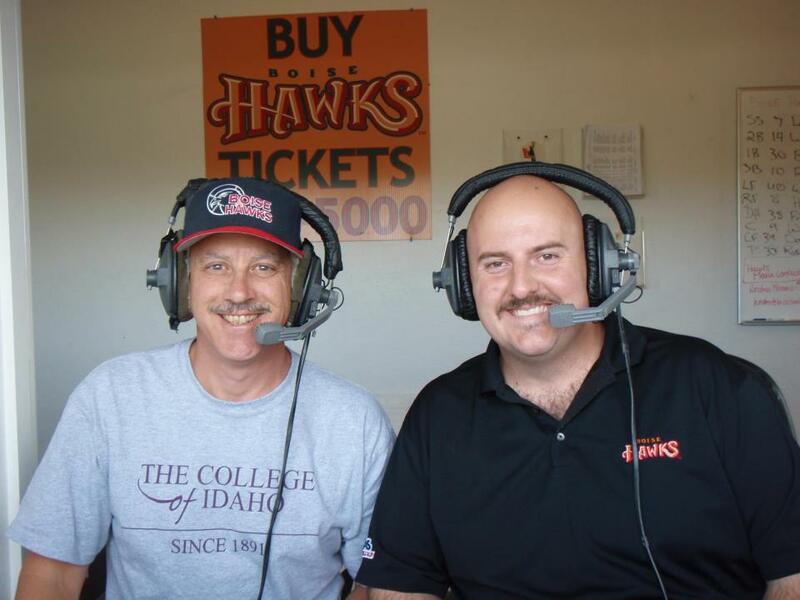 I have called 750 games behind the microphone in Boise – nearly double that of any other previous Voice of the Hawks and one of only five broadcasters from all of the Class A ranks that are still with their original team since 2003 – with countless memories. But more important was the fact that I was the voice of baseball in the Treasure Valley – there are no season-long major league teams having their games aired, so for the kid that was starting kindergarten when I debuted in 2003, that kid is now in high school, and I was the lone voice he or she knew during the summer months. It has been so gratifying to me to meet kids who talk about how they learned about the game listening on KTIK – just as I did back home when I was a kid staying up as late as I could to listen to the late Dave Niehaus calling Mariner games, or my friend Bob Robertson calling Tacoma Tigers games. Kids have told me how excited they were when Rock Shoulders hit a grand slam in the 2012 playoffs, just like I remember listening to Randy Johnson’s first no-hitter against the Tigers. A baseball broadcast is the bridge from my generation to the current young generation, and hopefully will be the bridge to the next. It is sad to say this, but If it truly is goodbye – there are way too many people to thank – but I will try to. I would have to start with Carl Lambert, who got me into the broadcast realm in 1994 – and sat in with us this summer in Everett – one of my prouder moments as a radio guy. Thanks to the Walkers, Jeff and Dan, for taking the chance on an SID at College of Idaho to make the transition to the pro game. My broadcast partners over the years – Nat Reynolds, Bryan Moses, and Chad Bates, the latter who spent the past three summers as my fantasy expert – along with the Ken Hyde’s, the Kristen Nimmo’s, the Onalee Carson’s, the Laura Verillo’s, and the Courtney Garner’s for not only being so talented in a PR sense, but keeping me sane on all of those hot nights in the booth. To the Voice of the Steelheads Will Hoenike and to former KTVB, KTIK, KBOI, and now KIVI reporter J Bates for being a constant on the pregame show; to Steve Holley for sharing many conversations on air from Louisiana; to the Voice of the Broncos Bob Behler for our three-year weekly segment; and especially Dr. Jasper LiCalzi, who helped create the bi-weekly Business, Baseball, and Politics segment on Hawkstown Tonight that was edgy, created a stir, but also a cult following that drew listeners to the radio at 6:15 p.m. at night. To the managers of the club – Steve MacFarland, Tom Beyers, Trey Forkerway, Casey Kopitzke, Jody Davis, Mark Johnson, and Gary Van Tol – you all made my life so easy by opening the clubhouse to me, making me feel a part of the team, even though I was just the RG (Radio Guy). I knew I had finally made it (or been around long enough) when a rover would come around on a road trip and insist that I came to dinner with the staff. And who would pass up two summers with Bill Buckner sitting behind you on a bus – his stories were unbelievable. From when I started in the league, one and only constant remains – Pat Dillon, the longtime Everett RG. There isn’t a better guy in the league and is a true Hall of Famer. Same goes for Mike Boyle in Spokane, who had some of the hardest shoes to fill when Bob Robertson “retired” a few years back. Many voices bounced through Yakima – Chad Goldberg, Randy Brochu, Drew Bontadelli, John Hroma, and John Hadden, though Rich Burk will be a mainstay in Hillsboro for years; Pat Lafferty was the dean in Salem-Keizer, though from Mark Gillman, to Matt Pederson, to Rob Schreier, they are keeping Pat’s legacy going. It was fun to work with former Giants voice Dennis Higgins at the old yard in Eugene while owner Bob Beban would slip in to listen in the back of the booth, same goes for the Ben Ingram’s and Chris Fisher’s, and will never forget when current Ems RG Matt Dompe helped me get internet star Domingo Ayala to join me for an inning. Working with Craig West, Tom Barket, Mr. MBoyle, Jason Schwartz, and the talented Voice of Idaho Vandals basketball Chris King in Tri-City has been outstanding. Seeing the development of Matt Baker in Vancouver after his time with the C’s, and there is no more passionate and well-rounded radio guy in the league than the Voice of EA Sports, Rob Fai. 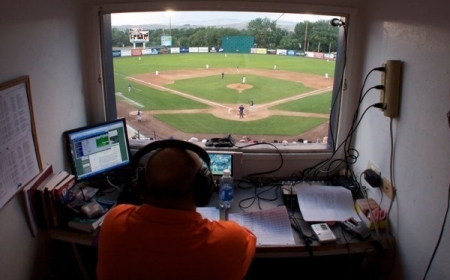 I have worked with a lot of guys – it shows the revolving door of minor league broadcasters – only a few moved up the ladder, some are in the same booth, others have gone on to bigger and better things in other genres. I must thank the Cubs affiliate broadcasters – all the conversations with Nathan Baliva (before they became a Cards farm club), Robbie Aaron, Mick Gillespie, Deene Ehlis, and Randy Wehofer – it was so fun to produce Go Cubs Go for seven straight years. And along with the RG’s, all of the great press box staff and friends I have made over the years – Todd Lyons in Yakima, KL Wombacher in Hillsboro, Jack Millikin in the Tri-Cities, Michael Trevino in S-K, Tom Lafferty in Everett, Jeremy Knight in Vancouver, Jamie Patrick in Spokane – such good guys. The hospitality of Linda Sue Keifer at the Best Western in Yakima; the late-night sliders and cheese fries at the Maxx in Spokane; trying to get to the Buzz Inn Steakhouse in Everett before it closes; the countless Spicy Chicken sandwiches at Carls Jr. across from the Red Lion in Kennewick. So many great road promo items I brought home – the bobbleheads, keychains, baseballs, magnets, mini bats, batting helmets, lunchboxes, and even socks, all have sentimental value. To the engineers – the late Jim “Stumpy” Monroe, Zach Monroe, and more recently Scott Cruize and John Romlein – you made my life easy. The players – so many to name. Rich Hill, Sean Marshall, and Matt Hines from the first year in 2003. Guys like Darin Downs and Pierre LePage, Chris Walker and Greg Rohan, Ryan Flaherty and Andrew Cashner, Javy Baez and Kris Bryant, Trevor Gretzky and Josh Harrison, KK Green and Richie Valdez, Everett’s Felix Hernandez and S-K’s Pablo Sandoval. They made my job so easy and it was fun to watch them succeed – and nothing was better than being the first to tell the world that a player was promoted or a player made his MLB debut. There is nothing more special in Boise than the Hawks Booster Club and Host Parents – for what Judy Pierce and Jeanette Kirkpatrick have done to help baseball in Boise by housing the players over so many years – you don’t know how much the players appreciate it. So many memories – from my first night as an official scorer at Memorial Stadium in 2002 – a game where a storm ended the game in the seventh, but we had to wait for clarification from New York as to whether the final score was 4-1 or 7-1. Watching the Boise Media Members try to play musical chairs and destroying a plastic chair in trying for the win; having Joe, the on-field announcer, get tossed for having the fans cheer the umpire after a bad call; taking Bob Grimes and Ricardo Medina to the Caldwell Night Rodeo on a rare August off-day – something Ricardo had never been to before. To Ryan Harvey’s opposite field homer in the clinching game of the 2004 NWL Championship Series and the sweet smell of champagne in the clubhouse afterwards. To my 15 seconds of fame on ESPN in 2005 for calling a triple play (yes, Andrew Marden, I wonder what I sounded like on ESPN Deportes). Watching Jae-Hoon Ha and Hak-Ju Lee dance in the parking lot in Eugene and Mike Sharp taping the duo signing karaoke on the bus microphone. 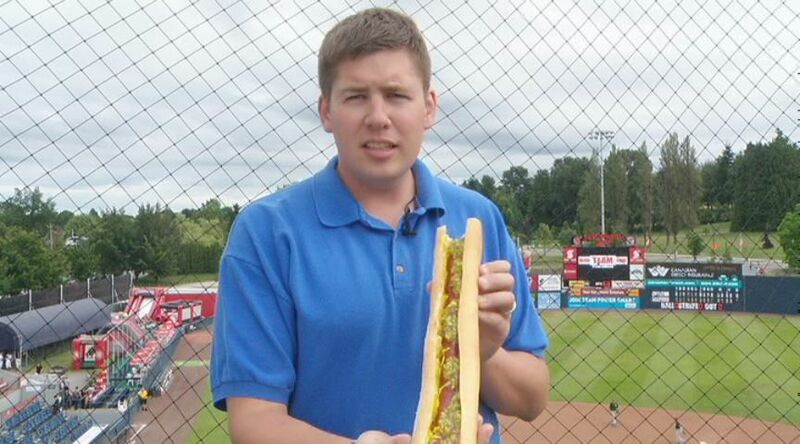 I can’t forget Troy Oppie from KBOI making the trip all the way to Vancouver and showcasing the C’s 2-foot long fungo hot dog, and eating it in nine minutes. All of the long bus rides with Claude, Hal, and Craig – though we’d like to forget the bus break downs (including a long stop on the mountain between Yakima and Salem, and an all-night wait on the side of I-84 outside of Pendleton). We made trips to the Pacific Ocean, to Multnomah Falls, too many trips to the casino, and to every conceivable Applebee’s in the Northwest. On a personal note, there were some tough ones – pulling an all-nighter when my good friend Dan Lew was killed by a drunk driver and flying home on a Saturday morning to speak at his funeral, but getting back to call the game in Eugene that night (which was a tough one to call). The day our hotel in Vancouver caught fire (nothing scares you more than a housekeeper yelling at you to get out and then seeing flames). The night in August of 2008 when a wildfire was sweeping through Columbia Village subdivision in Boise and was relaying critical information more than calling the game. 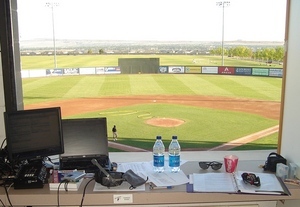 A night in 2012 when we had to evacuate the press box in Yakima due to lightning – and having to do the postgame show in the restrooms under the stadium while the storm picked up the batting practice shell and blew it a quarter mile away. And just last year, when my longtime engineer, Jim Monroe passed away – one of the few times I choked up on the air. My biggest highlight (many would think it was calling Kris Bryant’s first homer), though, was watching P.J. grow up around the ball park. 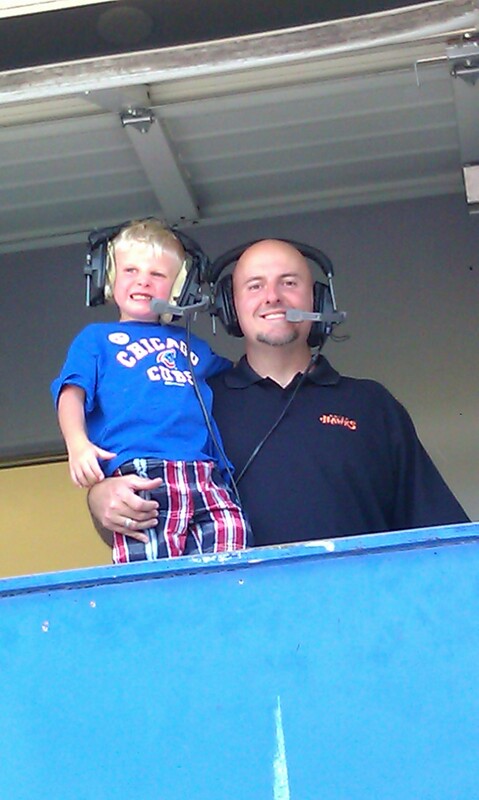 I took two years off from the broadcast in 2006 and 2007, only helping Paul Chiofar with the pregame show – with my now seven-year-old being born in 2007. From then, he lived at the park – initially only in the bounce houses, but now as a kid who wants to be the next Justin Marra, Tony Richie, C.J. Medlin, Micah Gibbs, Carlos Escobar, or Kyle Schwarber. For Gary Van Tol to allow P.J. to make road trips with us made it a truly special time, watching him take BP in the cage and on the field, for P.J. to catch fungos and shag balls in the outfield, and to make bonds with the Trey Lang’s, the Josh Davis’, and the Trevor Gretzky’s was priceless. Who else can say that Dave Valle came up to your then six-year-old after watching him take BP and offered to be his agent on the spot. Todd Rahr – what more can I say about my boss. Papi was a constant throughout the decade, giving me the guidance and ability to craft a broadcast that not only the franchise could be proud of, but the baseball fans of Boise could be proud of. I still wish we could have made “Deep Thoughts with Groundskeeper Boyd Mauer” become good radio, or that the “Hawk and Roll Show” concept could have been better (though our bumper music rocked), but his thinking outside of the box helped us create our own media well before social media truly took off. Todd got the Hawks live video for home games before anyone else in the west. We were progressive, we did things right. However, through it all, standing by my side was my wife Liza. For the first three years, it was a true family affair at the yard – as Liza served as our official scorer while I was calling games (Ted Dawson even did a TV package on us). She’d drive out with former Hawks RG Dave Hahn, who was the PA man at the time, and drive home with me. There were some deep conversations on those dark drives down Chinden to Caldwell. For the longest time, Liza wanted baseball to be over – think about it, she was by herself for 38 days a summer (outside of the trip or two we’d make together, allowing her to make wine tours outside the Tri-Cities), and then a single mom with a toddler after P.J. was born. As the years went on, and the boy got older, it was easier, and baseball season was something that we looked forward to. Liza is my rock, has kept me sane, is my love. I have called 750 games and know I still have another 750 or more in me – but to get there, you must first get to 751. Thanks for making all of these years a great day for me Hawks Nation – and hope we can do this again soon. 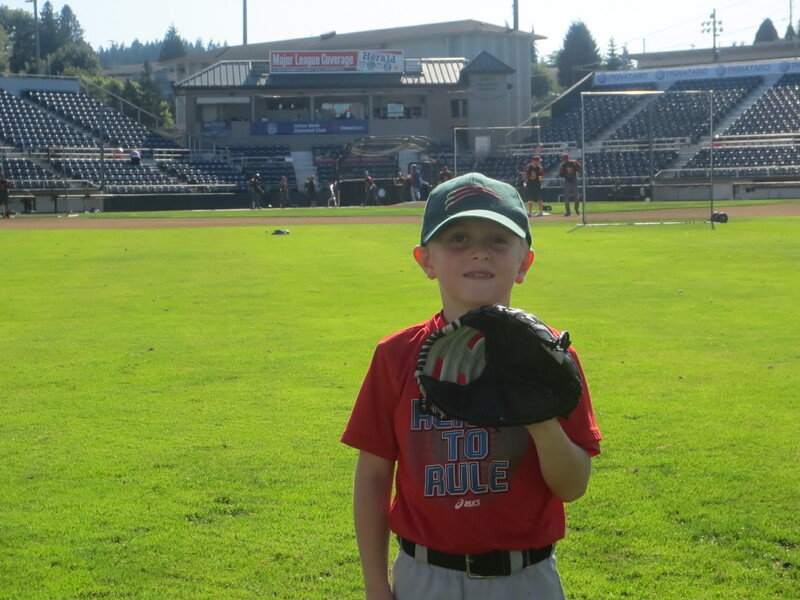 NOTE – The blog, for now, has been renamed just “On the Mike” and I will periodically post some information regarding alumni of the Northwest League.